The US$67 billion takeover in 2016 by Austin-based technology maker, Dell, of its Boston-based rival, EMC¸ represented the largest merger in the technology industry. In the months that followed, the two companies worked to bring disparate products and cultures together, relaunching as Dell EMC. Much of that integration work has now been done. 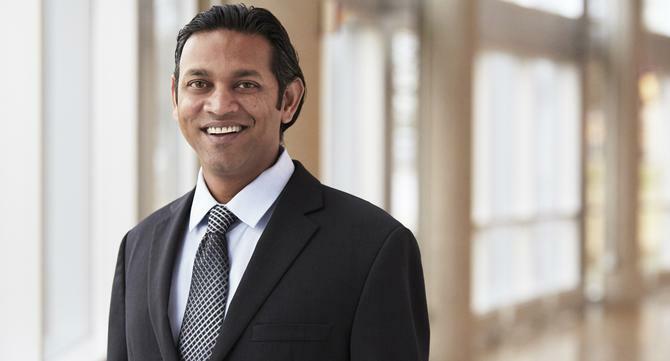 But for Dell EMC’s senior vice-president of marketing, Gaurav Chand, the biggest challenge now is not in getting the two parts of the company to work together, but in getting the marketing technology stack – particularly from Adobe and Salesforce – to work together. He cites one example in his competitive intelligence team. “They have to go to one portal – the Adobe DAM – to get a list of assets,” Chand says. “Then they have to get out of that, and get into Salesforce win/loss to collect that data. Then they have to marry those two things, understand what the gaps are, and address those gaps. And then they have to go to a completely different tool to share it with sales and get their feedback. While there has been significant expansion in the capabilities of marketing technology providers in recent years, the experience at Dell EMC shows there is still some way to go. The requirement for integration is especially apparent in the merged entity. Chand describes the traditional EMC model as ‘high touch’, whereas Dell’s model was much more about ‘at-scale’. Chand believes there is a clear need for tools that enhance collaboration between those two models; ‘something that enables marketers, sales, ops and other key pieces that touch our customers to truly collaborate in a much broader ecosystem’. While digital advertising has enabled the creation of immediate feedback channels, Chand is yet to see anything that rivals that capability for high-touch engagements such as face-to-face meetings. “High touch is all about one-on-one engagement, and that process is much more effective for that class of customers, but slower in terms of iteration,” Chand says. “It is anecdotal feedback. One area where Chand sees breakthroughs being made is in data triangulation. The company is deploying customer analytics from 6sense to assist in find customers that are in-market. But how to determine which customers in that tier would be worth the additional investment? Last year, Dell EMC commenced a six-month pilot program with 6sense to uncover key opportunities, and Chand describes the results as ‘incredible’. Whereas traditionally Dell EMC might blast out a message to millions of customers and hope for an attach rate of 0.3 per cent, using 6sense it can target a specific population and achieve results of 30 per cent of greater.